What is going wrong in England's A&E departments? Social deprivation and suffering from prolonged health problems were the main factors inflating emergency department attendance. Lancashire NHS Trust said they do not have enough emergency doctors and "there are no other safe options for delivering care". President of the Royal College of Emergency Medicine, Dr Clifford Mann, has said it "comes as no surprise" that A&E departments in England are now performing at their worst level since February 2010. Newly-released figures show just five out of the 138 trusts in England met the government's target of seeing 95 per cent of A&E patients within four hours. Dr Mann said staff working in emergency departments are under "relentless pressure" and the college is becoming "increasingly concerned about the risk of burn-out for the medical and nursing teams working so hard to deliver the service." It is now routine for many staff to arrive at work faced with congested and overcrowded departments in which it is impossible to deliver best care. Similarly many leave work, hours after their agreed finish time, exhausted by the scale of the task. The College is in regular dialogue with the Department of Health, NHS England and NHS Improvement. 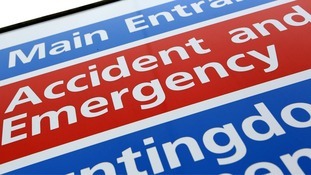 Urgent action to increase capacity within A&E departments is the focus of these discussions." The cracks are showing in England's struggling A&E departments, writes Rachel Younger - and the latest figures show how deep they go. Accident and emergency services in England suffered their worst monthly performance since 2010 in February, new figures reveal. A&E departments have missing their waiting time targets for the 14th week in a row, with just 87% of patients seen within four hours. Today's figures come as the first private firm to take over the running of an NHS hospital handed back its contract. Following the publication of NHS England figures that show A&E departments last week failed to meet their target of seeing 95% of patients within four hours, George Osborne defended the Conservative Party's NHS record. 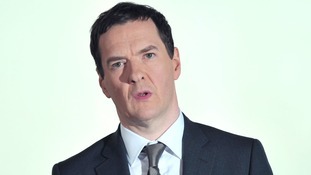 Speaking to the BBC, the chancellor said he had put an extra £2 billion into the system. There are more people than ever working in our health service, we are treating more people than ever, the people within the health service are doing a brilliant job and we are backing them up with increases in the amounts of money going to the health service. That's not something that has been easy to do, we have had to make difficult decisions - as people are aware - elsewhere in government budgets in order to prioritise the health service. Responding to the publication of accident and emergency figures from NHS England today that show a failure to meet four-hour waiting targets last week, Labour described it as the "worst in living memory" for the NHS. These figures show the Tory A&E crisis is intensifying and putting thousands of patients at risk. Last week was the worst week the NHS has experienced in living memory. Over 16,000 people had to wait on trolleys in corridors - a staggering 29 per cent increase on the previous worst two weeks earlier. David Cameron's failure to produce a plan to deal with this cannot carry on. Their complacency is exposing far too many vulnerable people to too much risk. As NHS England revealed that accident and emergency departments had last week failed to meet targets to see 95% of patients within four hours, it warned that the service would continue to be under pressure for the next few weeks. Dr Sarah Pinto-Duschinsky said that the flu season meant the NHS had been treating "more patients than than ever before." Last week, 407,239 patients went to A&E - almost 4,000 more than the previous week and an increase of almost 20,000 on the same week a year ago. The NHS continues to face unprecedented pressures on its frontline services - with almost 20,000 more A&E attendances than last year - and more than 105,000 people admitted to hospital which is one of the highest figures on record. The extra £700 million invested has bought 700 more doctors, 4,500 more nurses, creating over 5,000 more beds. Flu is now at its highest peak for the last three winters which is one of the reasons why over the New Year holiday we continued to treat more patients than ever before. This means the NHS will continue to be under pressure for the next few weeks. Even at this stage of the winter it is still worth people getting their flu jab if they have not done so, and get advice from their pharmacist for colds, coughs and minor conditions. Accident and emergency departments in England saw 86.7% of patients within four hours in the week ending January 4, failing to meet the 95% target, NHS England said.